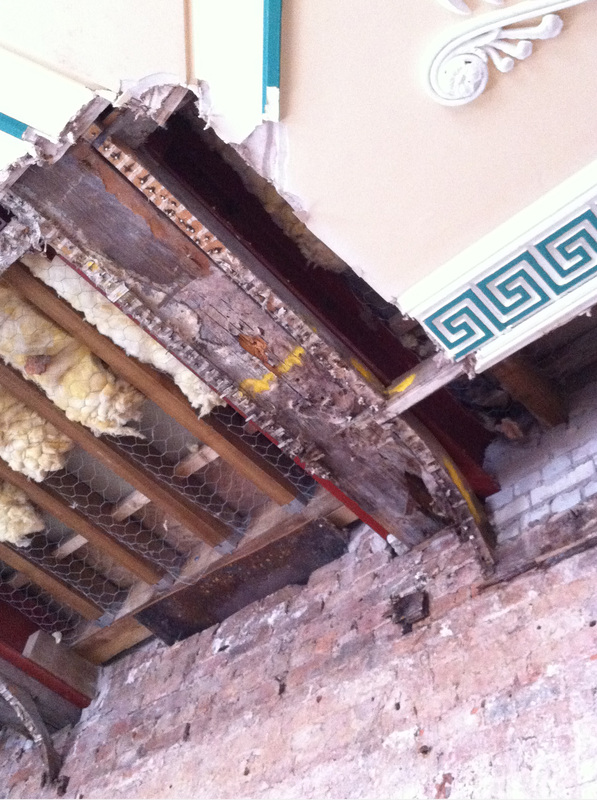 Years of water penetration and outbreaks of dry rot meant areas of original ceiling required substantial repair. 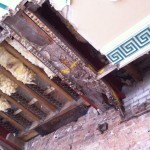 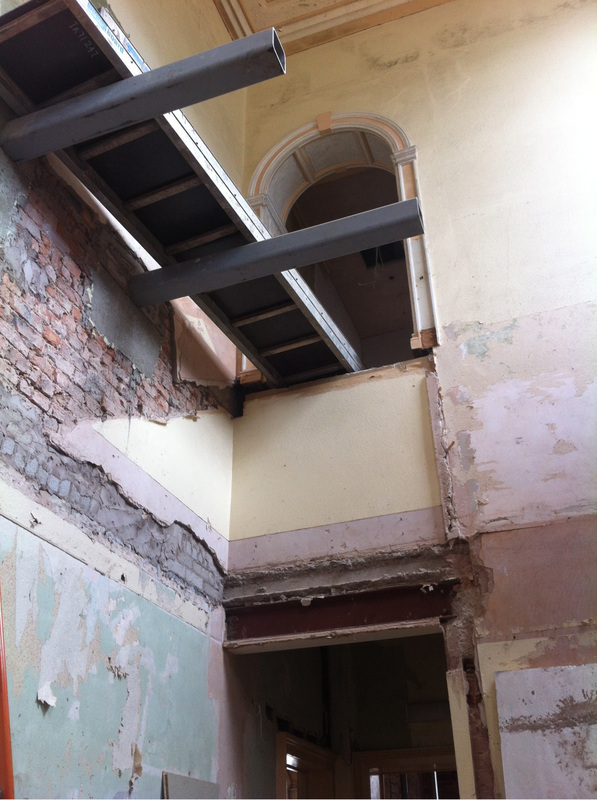 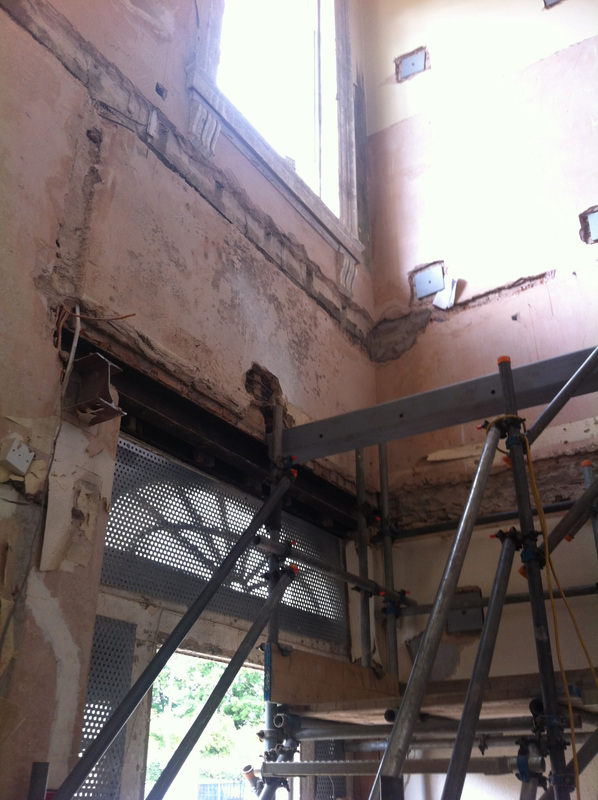 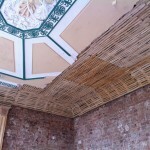 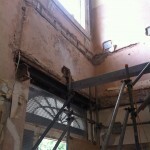 The Georgian Dining Room ceiling required areas of rotted supporting frame and the rotted ends of structural beams to be cut back and extended in steel. 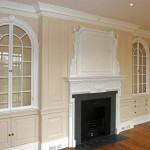 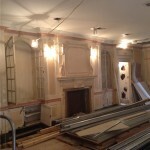 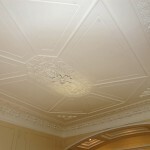 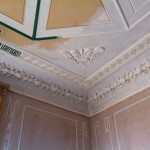 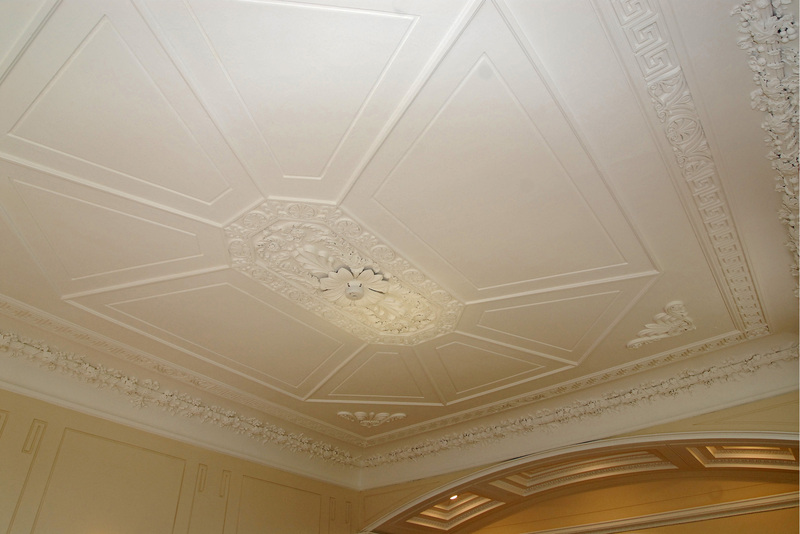 The decorative plasterwork was then replaced using traditional oak lathes and lime plaster, using surviving decorative elements as moulds to accurately replicate lost detail. 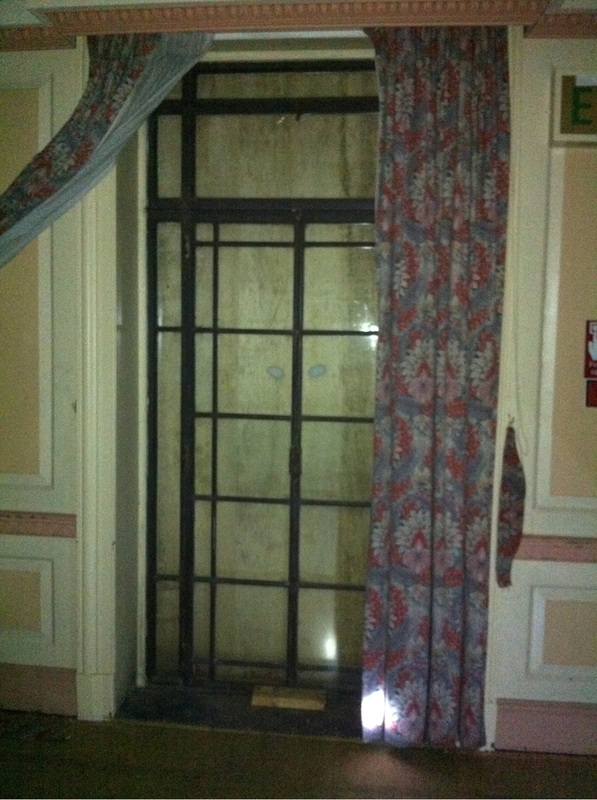 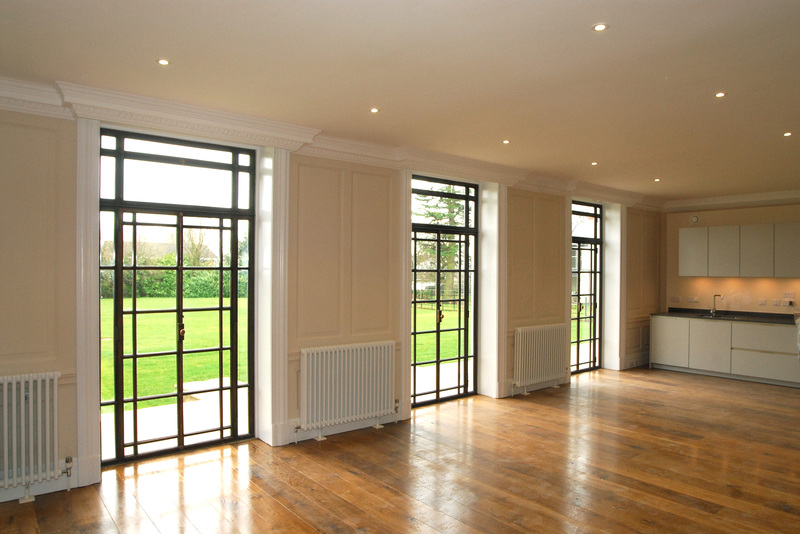 In the 1920’s three sets of cast bronze French doors were inserted into the rear elevation in place of sash windows. 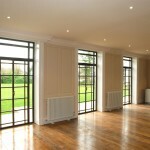 The doors were removed from site for cleaning of all paint to return them to their original lacquered bronze finish, missing elements were renewed and then reglazed with slimline double glazed units using the original glazing beads. 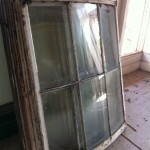 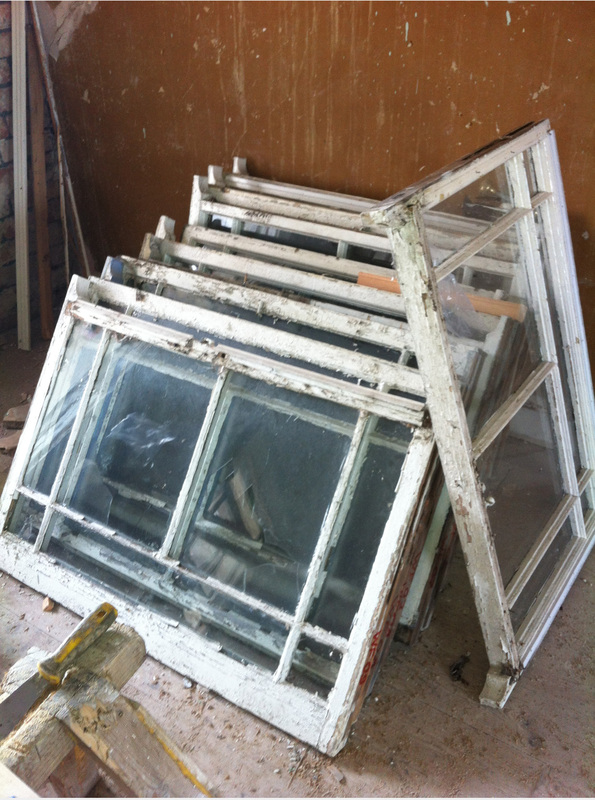 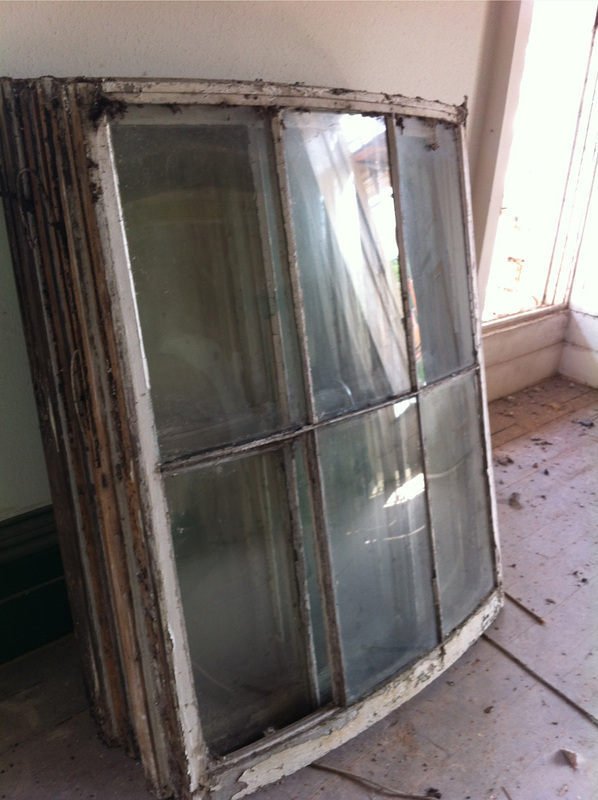 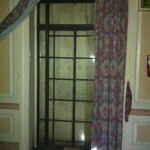 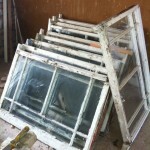 Very few of the original windows survived having been replaced with aluminium. 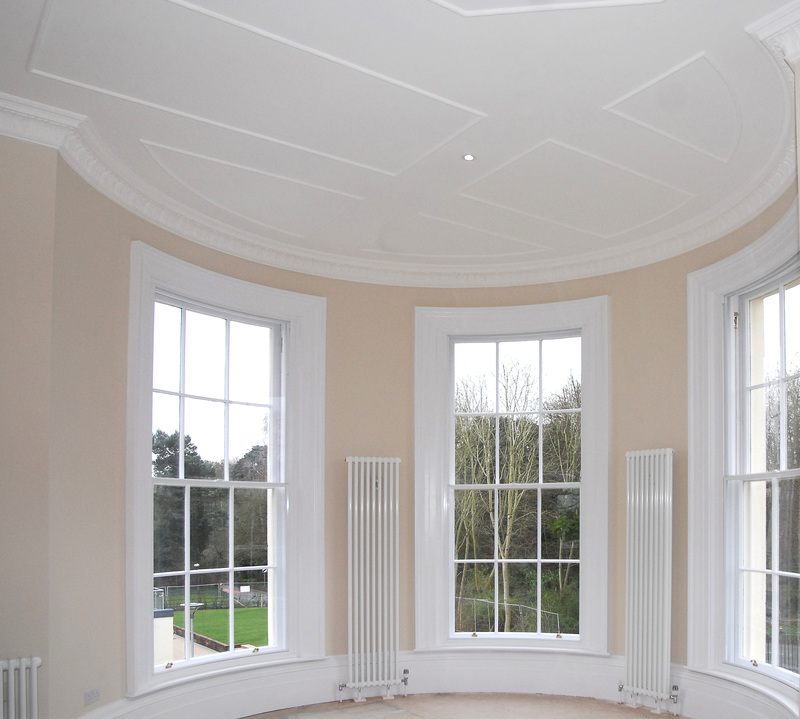 Wherever original material such as sash boxes still existed it has been retained and repaired with new sash windows inserted, fully draft sealed and with slim internal secondary glazing. 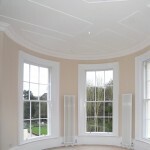 The curved turret windows proved difficult to replicate as they were severely affected by dry rot, the curved glass was however salvaged and the originals used as patterns. 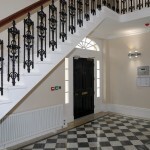 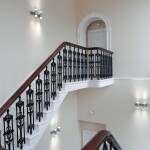 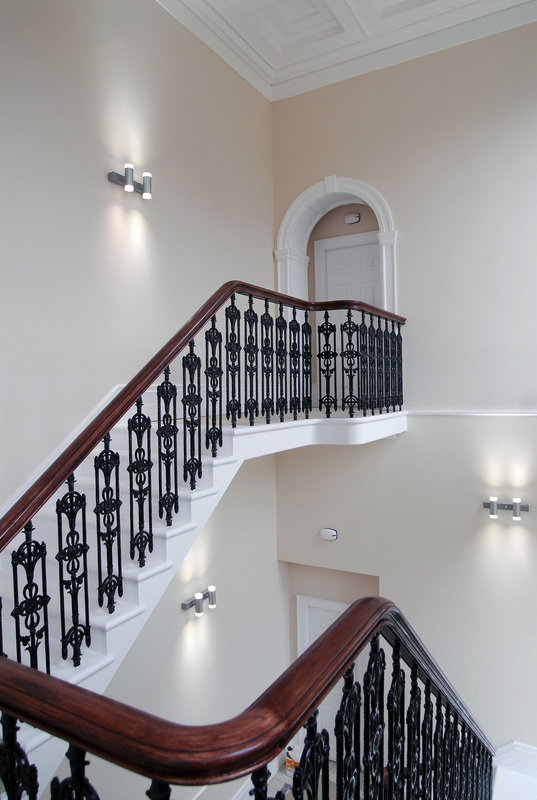 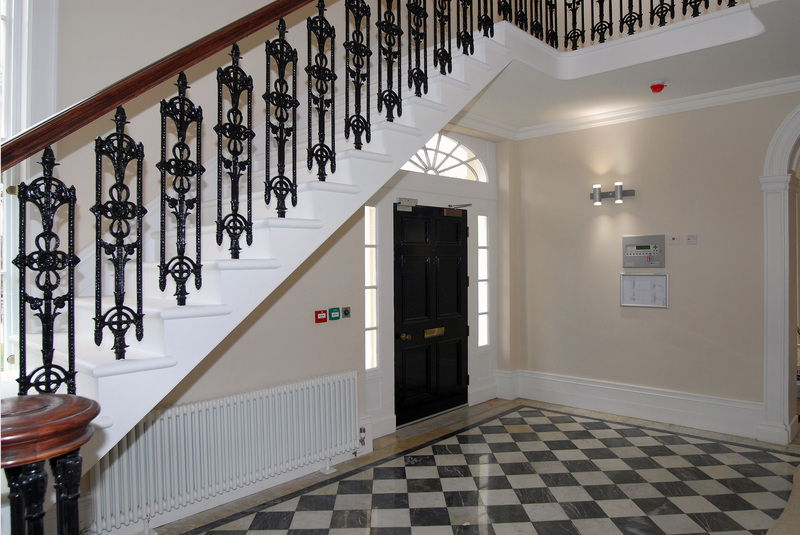 The entrance hall staircase was removed in the 1980’s and replaced by an inappropriate hardwood one, this was removed and a new sympathetic stair inserted to return some grandeur to the entrance hall. 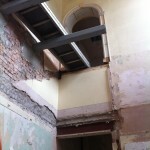 The new one is largely timber with a steel core to keep the flights as slender as possible: the way it connects the three staggered levels is similar to the original. 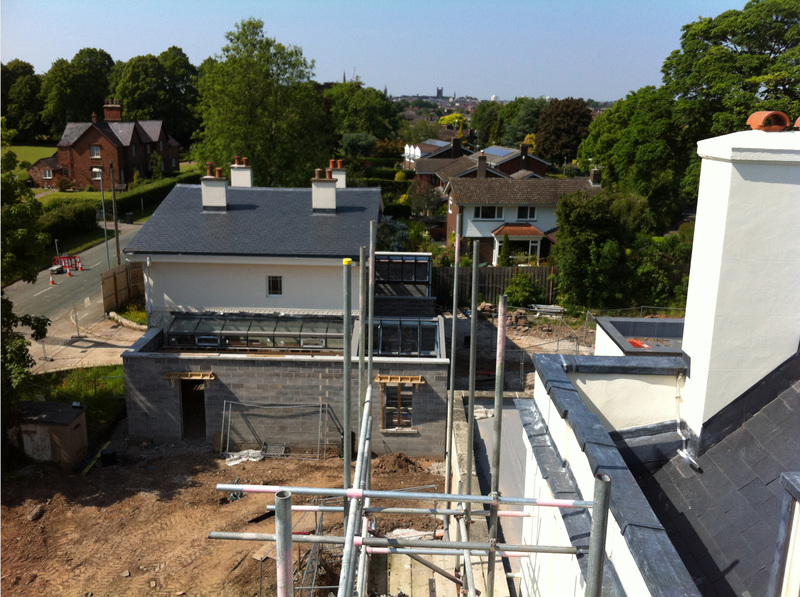 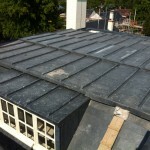 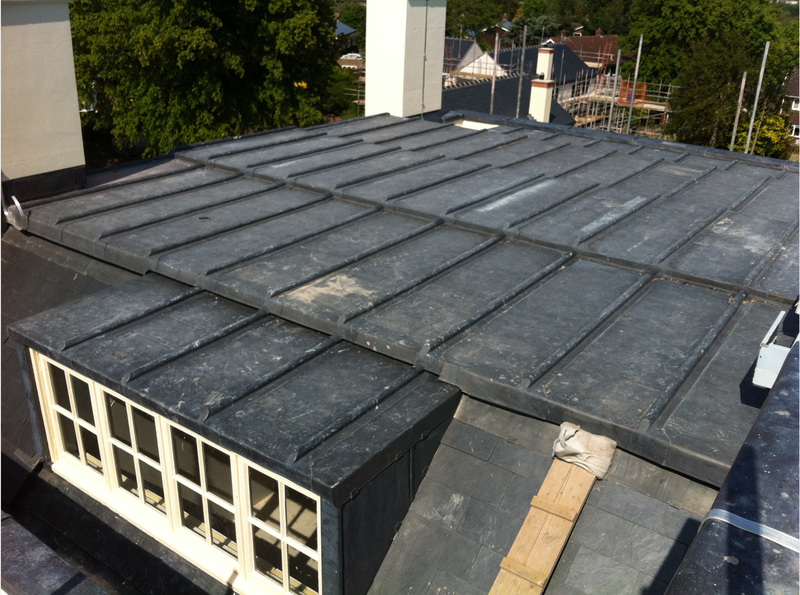 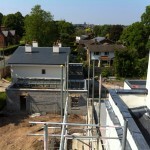 Roof materials have all been replaced in either lead or slate using traditional techniques. 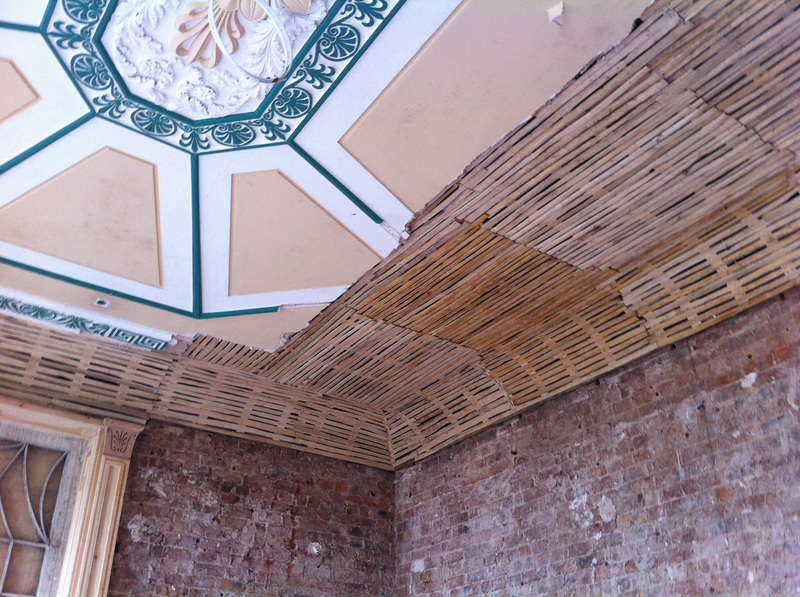 Floor structures were affected by Dry Rot and had to be replaced, fortunately it had not affected the panelling in this room which was repaired and redecorated. 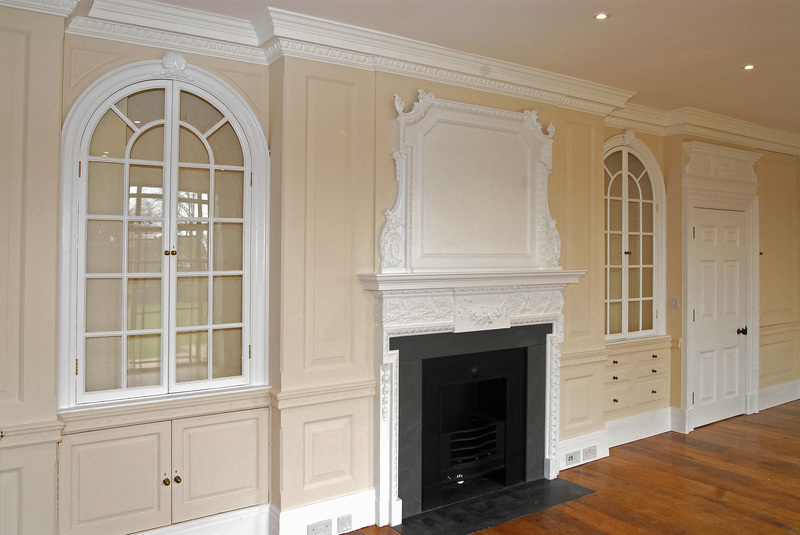 The original olive green colour was considered too dark for modern tastes!